MOBILE, Ala. — County commissioners in Alabama have rejected requests from atheists, pagans and Unitarian Universalists to post their own displays in the public arena after they took issue with a recent vote to display a “In God We Trust” plaque in the Government Plaza. In June, the Mobile County Commission voted 2-1 to display the national motto in the plaza in spite of opposition from several area residents who had come to the meeting to speak against the proposal. 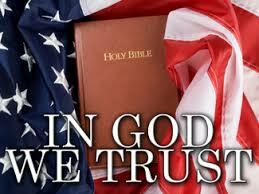 Chuck VonDerAhe, the president of the Atheist Alliance of America and former Catholic priest, requested that the motto instead be “In Our Citizens We Trust” or “In Our Constitution We Trust,” as he felt that “In God We Trust” is a promotion of Christianity. But Commissioner Jerry Carl disagreed, stating that God is whoever you want Him to be. As previously reported, council members in Tacoma, Washington presented similar reasoning in likewise voting to display the motto in the council chambers. After the vote was taken in Mobile in June, Carl was joined by Commission President Connie Hudson, who agreed on historical grounds. Commissioner Merceria Ludgood dissented, opining that the government’s role is secular in nature. In the days following the vote, atheists, pagans and Universalists all proposed their own privately-funded plaques on government property. “In Reason We Trust,” “In Goddess We Trust” and “Coexist” were all presented to the Commission, according to AL.com. A hearing was held on Thursday surrounding the matter, where some area residents spoke out against the proposals. At the end of the hearing, the Commission rejected the atheist, pagan and Universalist requests, stating that the panel would not consider any other mottos at the present time. It directed those in opposition to take up their concerns with Congress, which passed the national motto in the first place.